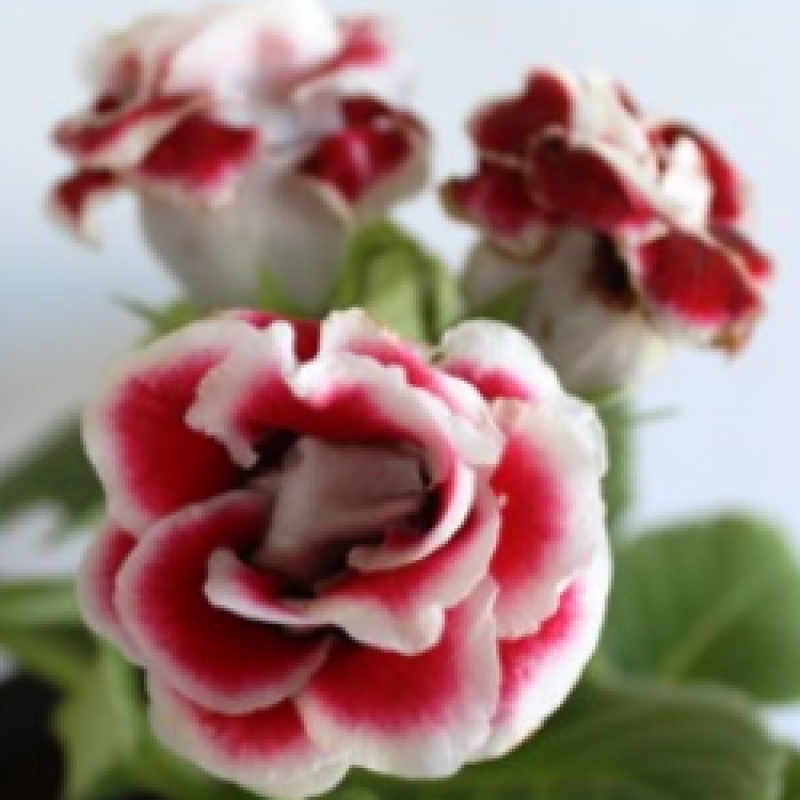 These widely loved perennials, commonly known as Gloxinia, are natives of Brazil. They grow up to a foot high and have basal rosettes of large, oval, bluish green leaves. The large, fleshy, tubular, flowers, red inside, white outside, are produced on short stems, in the summer. Numerous hybrids have been produced to give wide variety of bloom colors. The plants should be set in a sunny location with a humid atmosphere and be given plenty of water. These plants may be divided, or stem cuttings may be taken in late spring or summer. Mature leaves may also be used to increase your plants in the summer. They are taken off the plant and notches are cut just below the junction of the main veins on the undersides. They are then laid on peat moss and sand or leaf mold and anchored with pebbles. Live Gloxinia Red Plant along with Plastic pot.